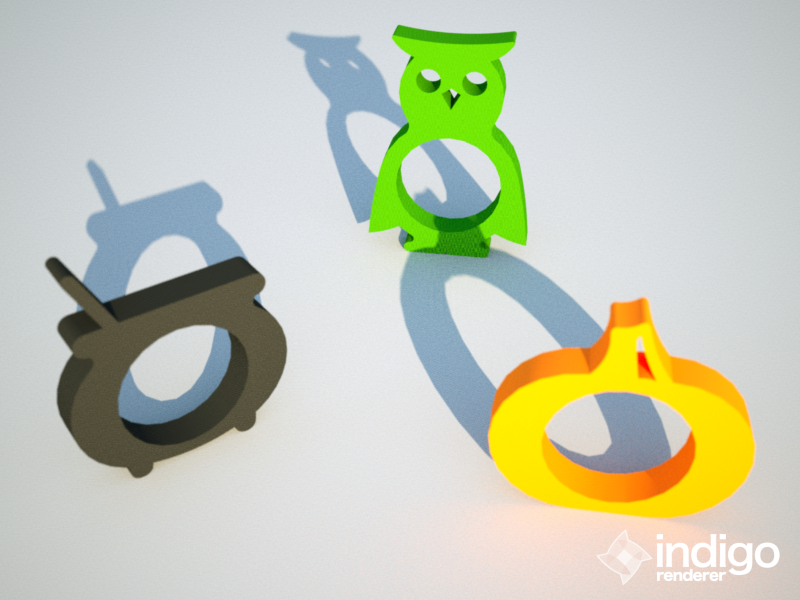 One might recall that a couple of weeks back I designed, 3D printed, and posted some napkin rings in the shape of animals; “zookins” I called them, in a clever mash-up of words. I posted four and had plans for several more, when I could find the time. 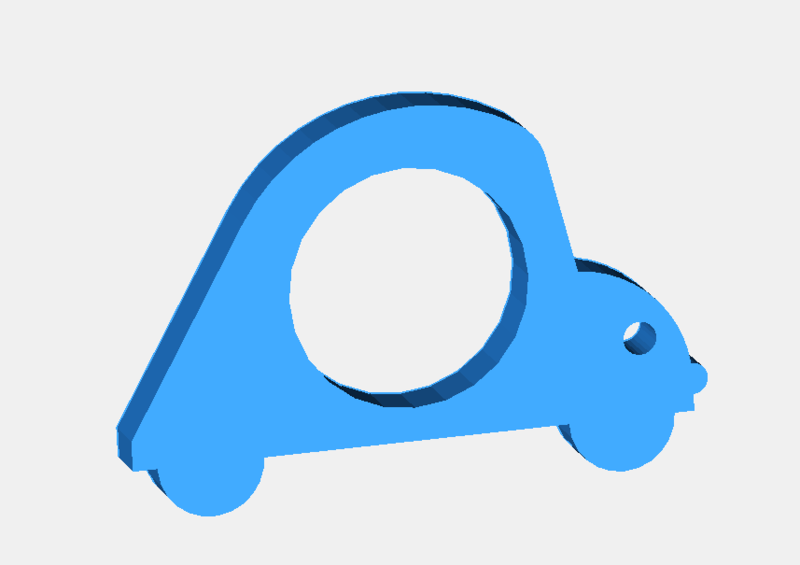 Much to my delight, while I was working on other things, Thingiverse user shutay in Kuala Lumpur, Malaysia took the idea and ran, posting several new derivatives. Then he followed up with this cute car, which he called a “carkin”. Perfect. He says he plans on making more carkins, and I hope he does. I hope other people do to! Today I posted three more napkin rings, made for the season: a pumpkin, an owl, and a cauldron; a mix of fall and Halloween. I was trying to work out a bat, but I’m still having issues with the correct wing proportions — the napkin ring would take up the entire place setting! D’oh! I really hope that folks keep going with these; they are such simple things, but sometimes simple can be incredibly powerful. 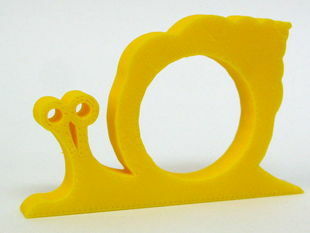 You can find shutay’s pieces on his Thingiverse page, and the new fall napkin rings also on Thingiverse. Always on the lookout for good software to use to easily design things to 3D print, I was excited to see a comment by Yuri in one of my earlier posts pointing me to ViaCAD. For $99, ViaCAD has a great price, but does the software have what it takes to make me use it?